Award for Distinguished Scientific Contributions to Clinical Psychology presented to Jalie Tucker, Ph.D., M.P.H. 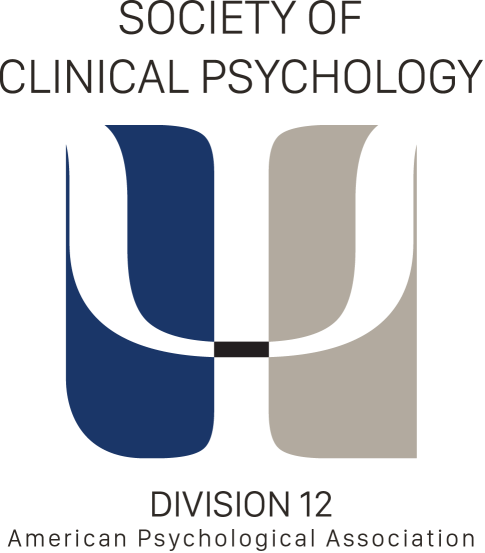 for distinguished theoretical or empirical contributions to Clinical Psychology throughout their careers. Distinguished Student Research in Clinical Psychology Award presented to Brian Feinstein, Ph.D. for exemplary theoretical or empirical contributions to research in clinical psychology. Distinguished Student Service in Clinical Psychology Award presented to Lauren Breithaupt for outstanding service contributions to the profession and community. Florence Halpern Award for Distinguished Professional Contributions to Clinical Psychology presented to Arthur Nezu, Ph.D., (Hon.) D.H.L., ABPP for distinguished advances in psychology leading to the understanding or amelioration of important practical problems and outstanding contributions to the general profession of clinical psychology. Stanley Sue Award for Distinguished Contributions to Diversity in Clinical Psychology presented to Guillermo Bernal, Ph.D. for remarkable contributions to the understanding of human diversity and whose contributions have significant promise for bettering the human condition, overcoming prejudice, and enhancing the quality of life for humankind. Toy Caldwell-Colbert Award for Distinguished Educator in Clinical Psychology presented to Lizabeth Roemer, Ph.D. for excellence in mentoring clinical psychology graduate students, interns, postdoctoral fellows and junior faculty. David Shakow Early Career Award for Distinguished Scientific Contributions to Clinical Psychology presented to Rebecca Kathryn McHugh, Ph.D. for contributions to the science clinical psychology by a person who has received the doctorate within the past seven years and who has made noteworthy contributions both to science and to practice. Samuel M. Turner Early Career Award for Distinguished Contributions to Diversity in Clinical Psychology presented to Monnica Williams, Ph.D. for an early career psychologist who has made exemplary contributions to diversity within the field. Such contributions can include research, service, practice, training, or any combination thereof. delivery; novel application of applied research methodologies to professional practice; positive impact on health delivery systems; development of creative educational programs for practice; or other novel or creative activities advancing the service of the profession. The American Psychological Foundation Theodore Millon Award presented to John Edens, Ph.D. for outstanding mid-career advances in the science of personality psychology including the areas of personology, personality theory, personality disorders, and personality measurement. This award is given jointly by The American Psychological Foundation and the Society of Clinical Psychology.